The warm weather of summer is the right time to consider cleaning chores that have not been attended for long. Although spring is the season when much attention is paid to cleaning, a new checklist of cleaning tasks can be prepared for summer. 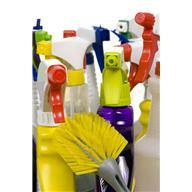 Different summer cleaning tips are given below for different areas in a house. Weather conditions, spilled drinks and eatables, sitting, etc., outdoor furniture bear too much to be left unattended. Spot cleaning is the best for patio furniture made of any fabric. One of the summer cleaning tips for outdoor furniture is: use gentle cleaners preferably with hose. Follow instructions carefully to prevent patio furniture from damage. Concrete patios and porches are beaten by bird droppings, mud and debris blown by the wind. In case of too bad a condition, professional assistance is recommended. Otherwise, mix dishwashing soap in warm water to clean stains with the help of a strong scrub. Use pressure washer for simple finish. Barbecue grills demand some of the best summer cleaning tips as they are most used during summer, at home and at camps too. Heavy-duty cleaner and wire grill brush are required to clean grille. Gutters get jammed by debris, gunk, leaves, etc. mostly during summer, which makes inspection of gutters and cleaning of downspouts an obvious necessity during summers. For some unknown reasons, fountains, pools and spas in the backyard seem to have magnetic effect on twigs, leaves, debris, etc. Those who know the art of cleaning them appropriately can do it; otherwise professionals can be contacted. Techniques of cleaning outdoor lighting have to be among the summer cleaning tips. There are many insects that are attracted towards light. They often manage to get inside the covers of lamps and die down there. That is alone reason enough to include outdoor lamps in the summer cleaning checklist. Air is something without which regular humans cannot live for even minutes. Unlike impurities in water and food, polluted air cannot be checked before inhalation, which is why cleaning air filters every 3 months is recommended. One of the most used appliances during summer is ceiling fans. Naturally, they attract huge volume of dust and dirt which accumulate on its blade making it look dirty and the air it circulates polluted. They can be easily cleaned with damped cloth even while they are attached.